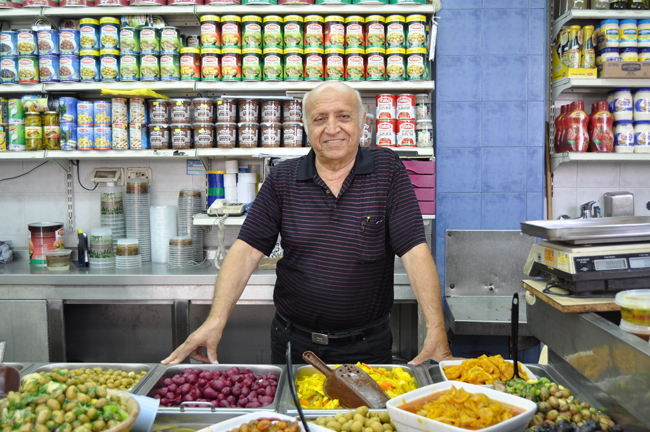 Before the establishment of the state of Israel, the market was the center of the town; Uri's father had a butcher shop here. Uri took over at 16, and became a successful business owner. He modified the store into a shop selling housewares (meat was sparse), but returned to selling food in 1975. 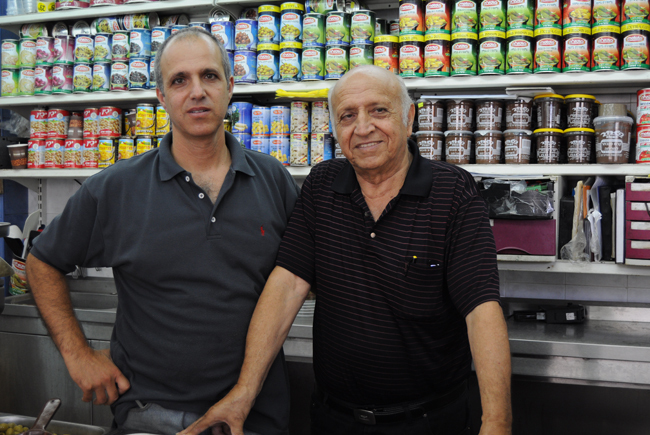 Now Uri and his sons, Itzik and Yossi, sell ready-made delicacies like cheeses, pickles, homemade salads, olives—plus wine and other treats. Never give up on Machne Yehuda. A source of blessing and livelihood.